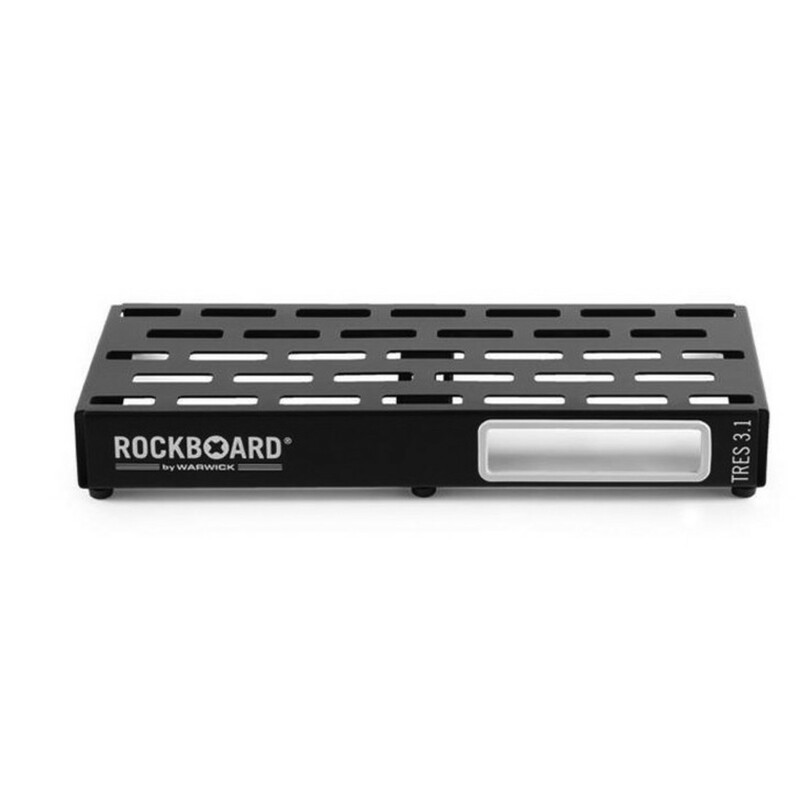 The RockBoard by Warwick TRES 3.1 Pedalboard has been designed to be lightweight, rigid and rugged. With this pedalboard you can use a multitude of pedals, as well as power supply mounting solutions. 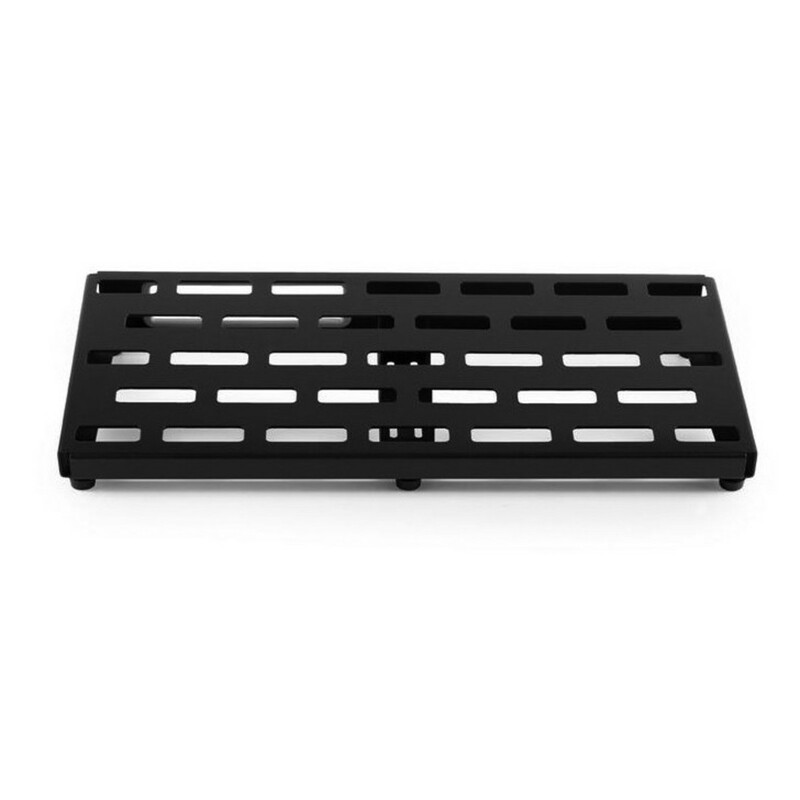 The RBO B 3.1 TRES C pedalboard has been constructed using only one folded, cold-rolled aluminium sheet for the board frame and doesn't have a single welded seam. As a result, the boards surface is completely plain and it gives you more pedalboard space for your money. 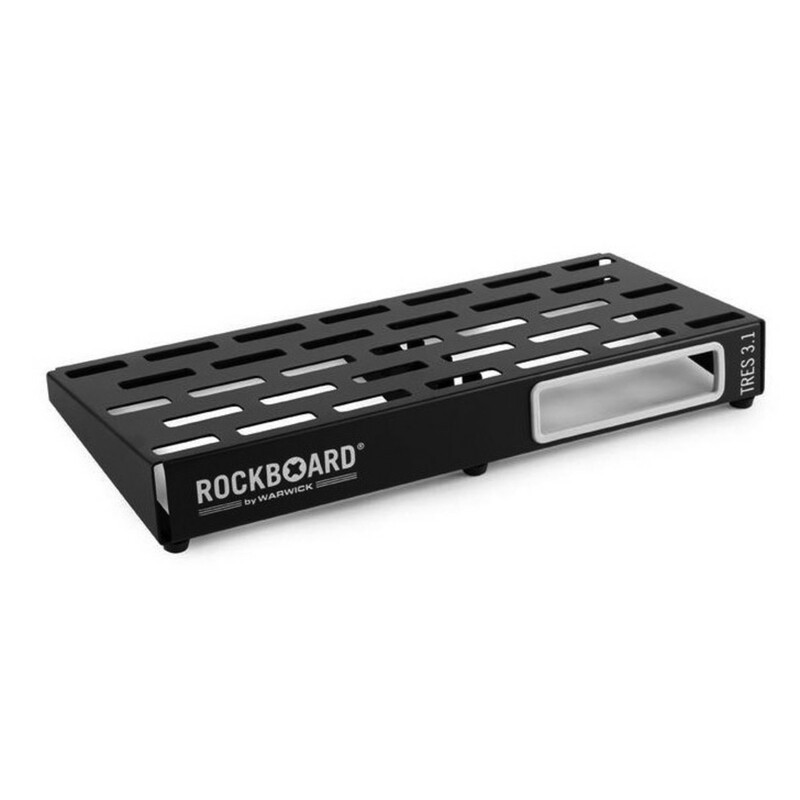 This pedalboard features U-shaped vertical support braces for additional stability. 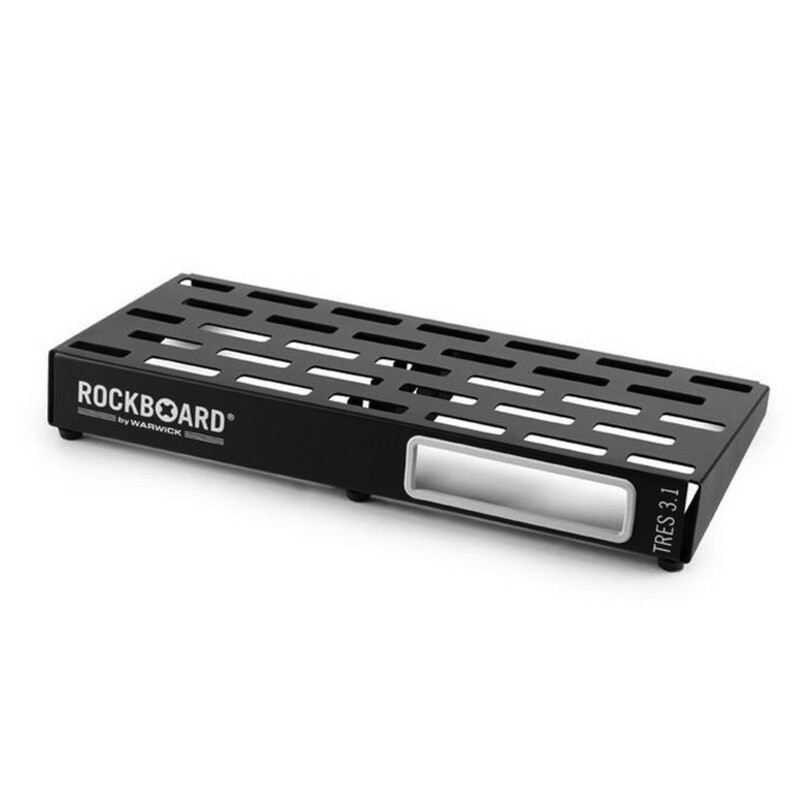 Rockboard's innovative slot-based design works exceptionally well with standard mounting solutions. You can even hide your cables underneath the surface for a tidy setup. Your power supply can also be mounted underneath the boards surface. This pedalboard also has a slot for RockBoard Module patch bays. 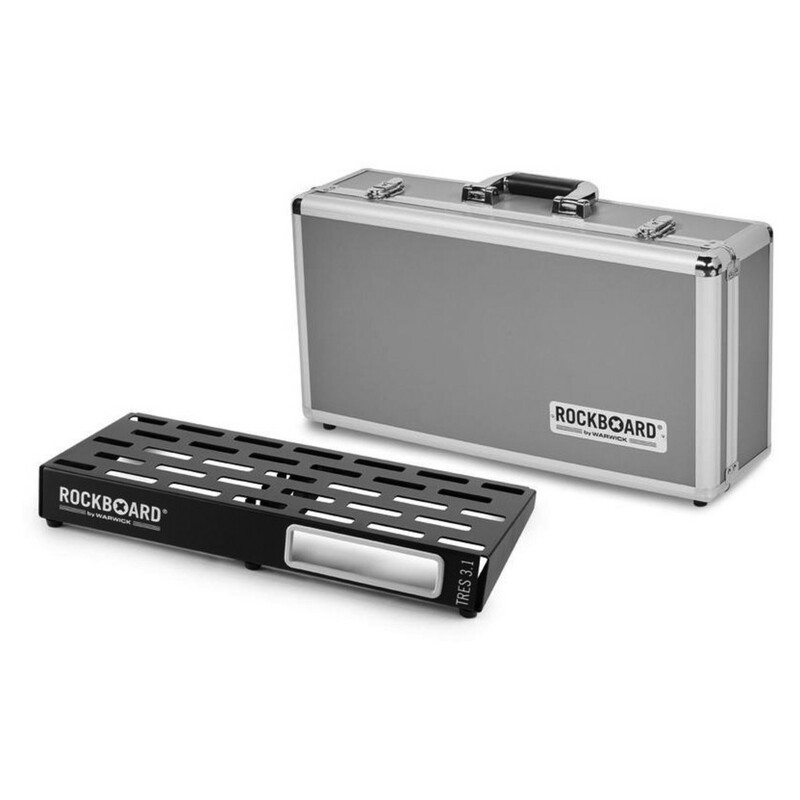 The RBO B 3.1 TRES C comes complete with a Rockboard flight case.